Brown is one of the most common hair colours; but in no way does this mean it’s any less striking and beautiful. 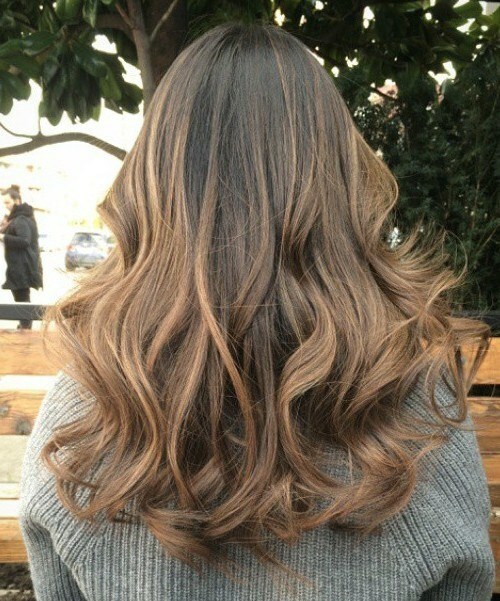 There are so many different things that you can do to enhance your brown hair – from a balayage blend, an ombre transition or simply a gorgeous cut, this hair style gallery is full of beautiful brown hair styles that will inspire you to go for something different with your brown locks. 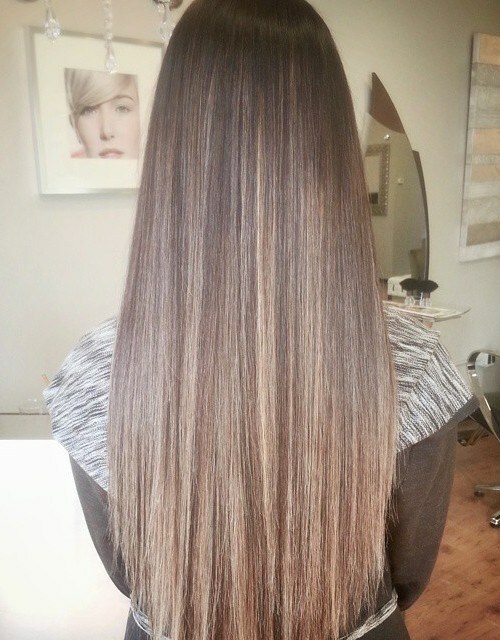 This beautiful log hair is a lovely rich brown colour which is one tone across all of her straight and sleek hair. It cascades down her back in a lovely style, which is one lovely length. Finished with a side parting, this amazing style is natural, simple but oh so gorgeous – especially when it’s on such a pretty girl as this one! 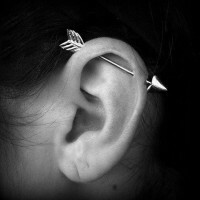 It also works perfectly when straight or curly. This clever lady has changed her beautiful brown hair with a stunning balayage transition that has added the most incredible lift and life into her amazing hair. It’s long, straight, sleek and oh so glossy – starting from a beautiful and rich brown tone at the top which blends into a gorgeous golden blonde at the ends that we just can’t get enough of. This lovely long hair falls right below the shoulders in a gorgeous and glossy straight finish, which is slightly flicked out around the ends to add a little bounce and lift to this beautiful cut. 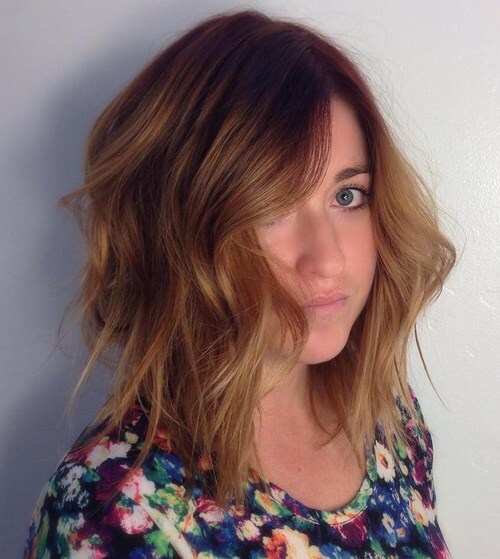 Finished with slightly shorter layers on the top, this look has a cool finished silhouette – especially thanks to the deep brown to caramel colour transition. 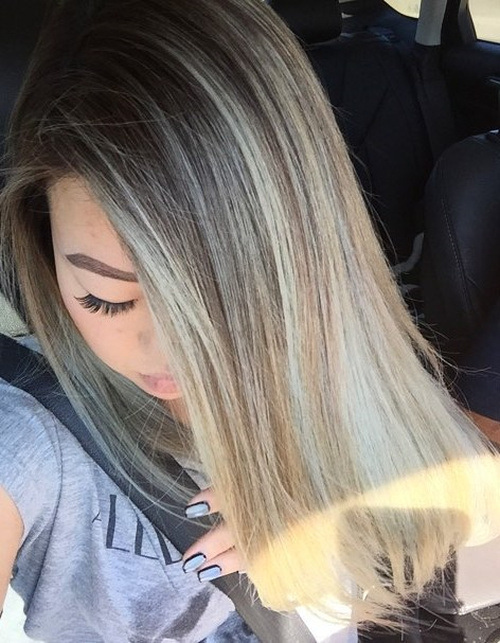 Brown shades work with a range of gorgeous colour tones – as this adorable lady has proved with her blonde and blue streaks! This amazing hair is in a straight and sleek style, which sits in a side parting, with one gorgeous and sweeping section that is full of blue and blonde highlights that blend from a beautiful dark brown parting. 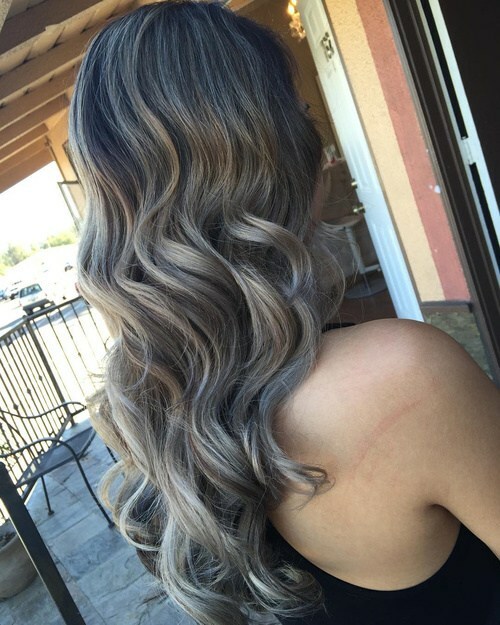 This gorgeous brown hair has been worked with a stunning balayage blend, which starts with a striking and rich brown at the root and works into a striking silver tone at the bottom. This long and glossy hair is finished with a stunning and subtle wave from root to tip that gives this lady’s hair the most gorgeous silhouette we ever did see. This gorgeous graduated bob is a style which is so incredibly on trend, and we absolutely adore it! The graduated ends start shorter at the back of the head and longer at the front which frames the face in the loveliest way; not least because of the fabulous tousled curls this girl has added to her bob! 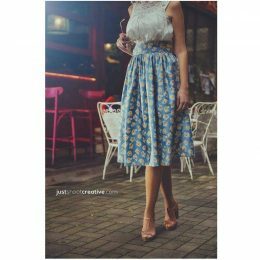 We adore the light brown colour too, don’t you? If you love bob cuts, here are some great bob hairstyles for you to choose from. This lady’s fabulous and voluminous hair simply oozes Hollywood glamour; especially because of the stunning barrel curls which are dispersed throughout these lovely long locks! 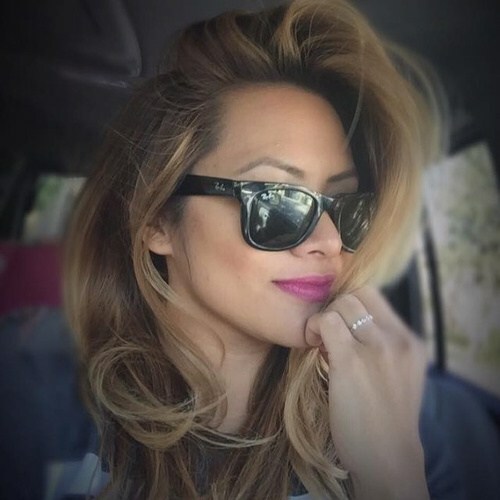 The roots are a luscious dark brown which quickly transitions into a lighter brown with a subtle blonde tinge here and there, and she’s swept one layer over to one side in style. 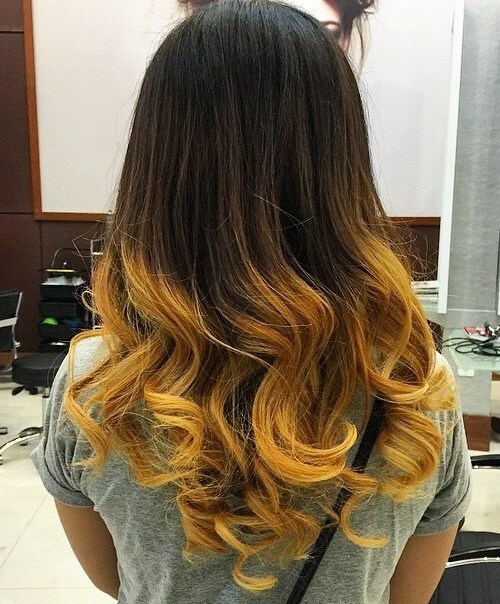 Hair color ideas for medium length hair. This lovely light brown hair is brought to life by an outstanding cut which is full of feathered layers from top to bottom. The hair falls below shoulder length and is dispersed with graduated, slightly shorter layers throughout with flicked out ends to create the most beautiful bounce and shape. This lovely colour is brought to life by this fabulous shape! 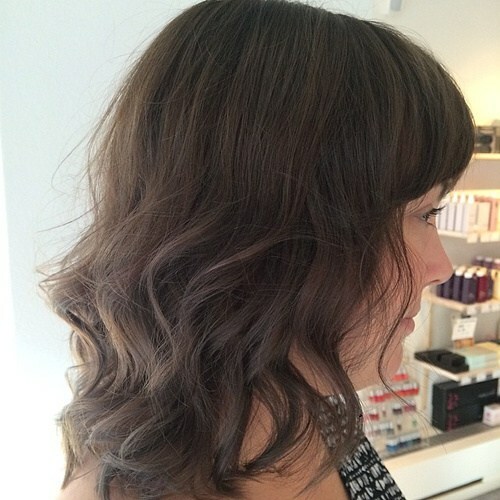 Do you love this medium brown hair? Messy hair ideas for should length hair. This absolutely gorgeous light brown to blonde balayage blend might be one of our favourite looks from this gallery – especially because of the loose curls which form the perfect beach style finish. This fashionable female has opted for a centre parting for her hair to fall symmetrically on either side, showcasing the gorgeous colour blend to perfection. This lady’s hair is simply stunning – preened to perfection and just ideal for a glamorous event or fabulous occasion. She’s opted for stunning barrel curls from around the ear length that fall down the length of the hair, which is the perfect juxtaposition to the smooth and sleek top section. 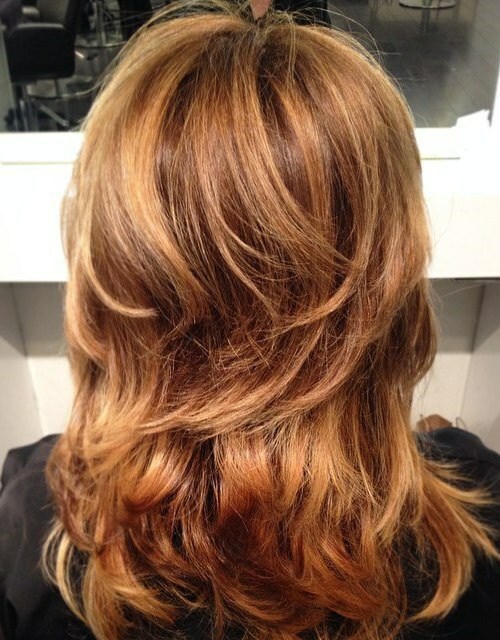 This blends from a beautiful dark brown to light brown in a balayage melt which is to die for. This utterly striking long hair falls in beautiful ringlets down this lady’s back, working into the most stunning style that we ever did see. This gorgeous style is brought to life by the impeccable colour transition from the darkest brown to the lightest blonde, blending from one to the other truly seamlessly. This look has the most beautiful curls and a glorious silhouette! This lady has the most beautiful cropped bob which sits just above the shoulders. 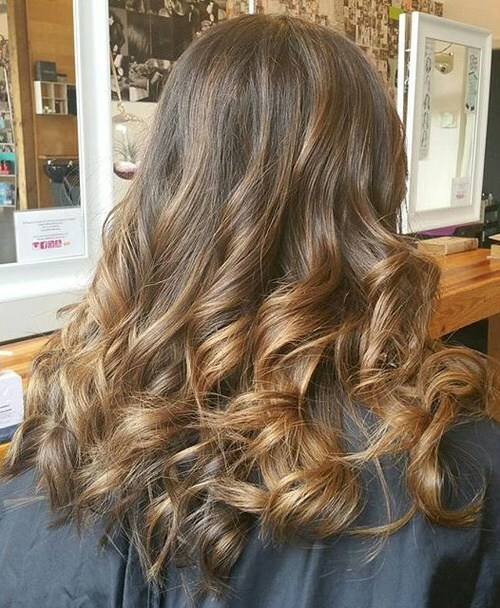 In a lovely light brown tone which is gently sun kissed with a caramel blonde towards the ends, this gorgeous colour transition is brought to life by the lovely bouncy curls she’s gone for to finish off a wonderful cut that would be equally special when straight too. This is a great medium brown hair for thick hair. Back view of long wavy hair. This strikingly rich brown curly colour blend is a hair style that has stolen the hearts of the Styles Weekly office – which is largely down to the stunning and subtle colour transition. The top of the hair is a deep chocolate brown which is glossy and shiny, and it works into a lighter brown on the ends, finished with lots of lovely curls throughout. This lady has a gorgeous shoulder length bob which she’s finished with a straight bob to frame the face perfectly. Her hair is one deep tone of a gorgeous, rich brown shade all over which is both warming and striking. She’s breathed life into her lovely cut by adding soft ringlets throughout which creates a lovely tousled finish that is perfect for a night out or event. This absolutely stunning hair does not skimp on volume – and we are absolutely smitten with this gorgeous and glamorous look! It falls in beautiful barrel curls that fall below shoulder length, and it works from a gorgeous dark brown at the root which blends into a lighter brown colour that we can’t get enough of! We love this stunning finish. 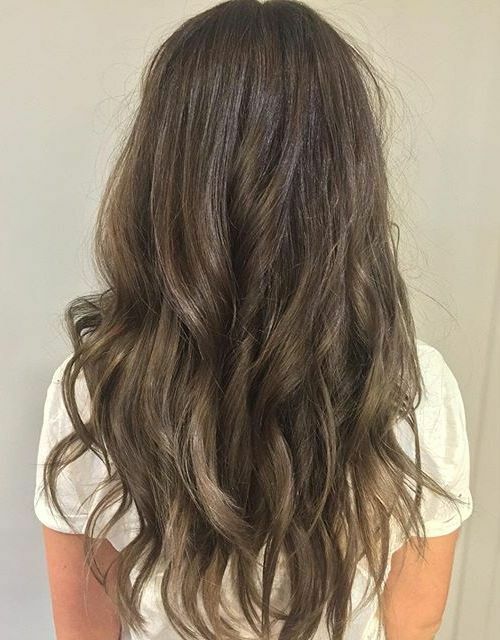 Brown hair has so many glorious types of shades, from red-tones like this lady has opted for or gorgeous dark brown tones – even through to blonde tones. 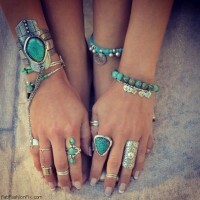 Each of them is equally as beautiful as the other – but we are very partial to this lovely look. This lady’s thick, curly hair works from a deep brown to the glossy, shiny copper colour at the ends which looks absolutely gorgeous. This lady’s hair is preened to absolute perfection in a style that is utterly perfect for special events or occasions. Her hair has been curled with striking ringlets from the top of the hair right through to the bottom, which only accentuates the stunning colour transition from a dark brown to a lighter brown at the bottom with a lovely blend. This lovely long hair is absolutely fantastic; and oh so glamorous – especially on this gorgeous lady! Her beautiful brown locks are swept over to one side in an elaborate flicked fashion in the most striking way. 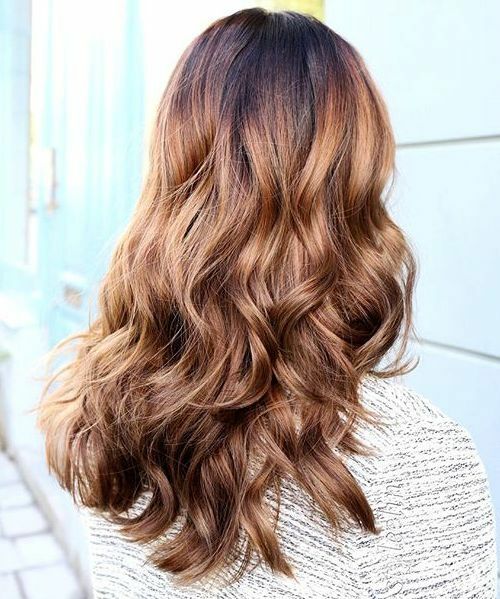 It starts at a rich brown colour and works with a balayage transition into stunning blonde curls at the end, and we just adore the finished product. If you’re blessed with lovely and thick hair like this incredible lady is, then why not opt for a bold and vibrant colour blend to bring it to life? This dramatic style is long, glossy and oh so striking – with big and dramatic ringlets running from the top to the bottom in a perfect style. 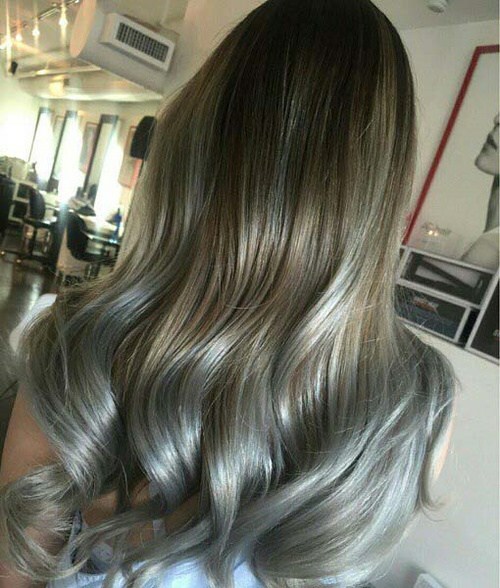 There’s a wonderful brown to grey transition at work too; finishing the look off in style. 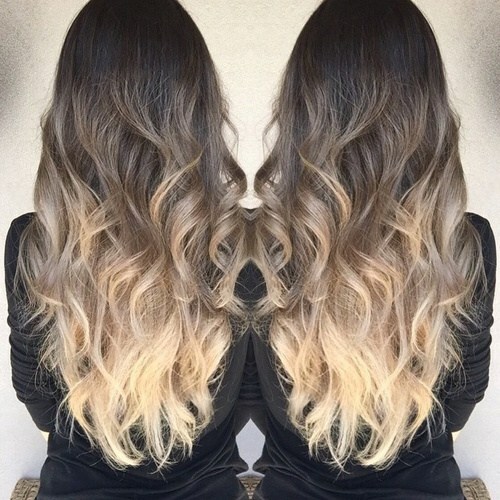 Dark to brown ombre hair for long wavy hair. This gorgeous hair blends a beautiful dark brown with a stunning yellow blonde in a seamless transition, which is highlighted perfectly by the incredible ringlets which accentuate the colour blend and add a gorgeous bounce and lift to the bottom of the hair. The ringlets are stunning, but this look would be equally remarkable when straight too! 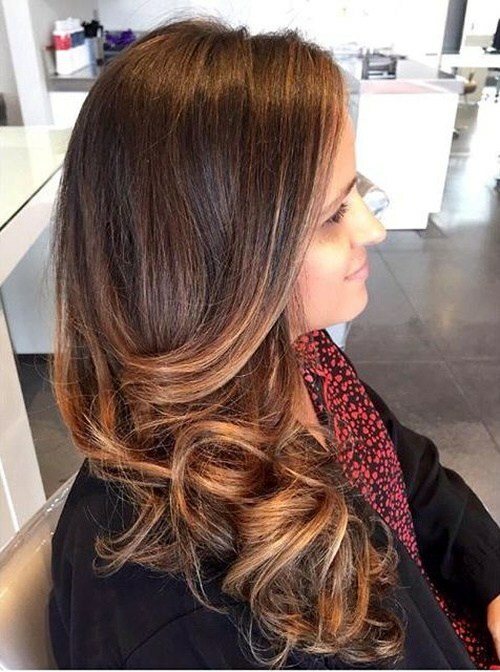 If you’re blessed with brown hair, or if you fancy working a striking brown shade into your look, then we hope this Styles Weekly gallery of gorgeous brown locks has helped inspire you to be brave and make the change with your next hair appointment!